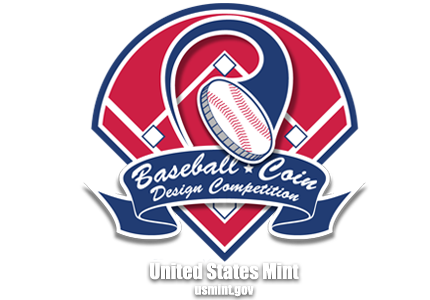 bat & glove | Baseball Coin Design Competition: Batter up! Pitch your coin design today. I love America's greatest passtime so I wanted to use the bat and glove over homeplate with baseballs and stars around the edge to celebrate the nature of the game. I hope you pick my design. It was great fun planning it and I'd like to thank you for opening this up to everyone. 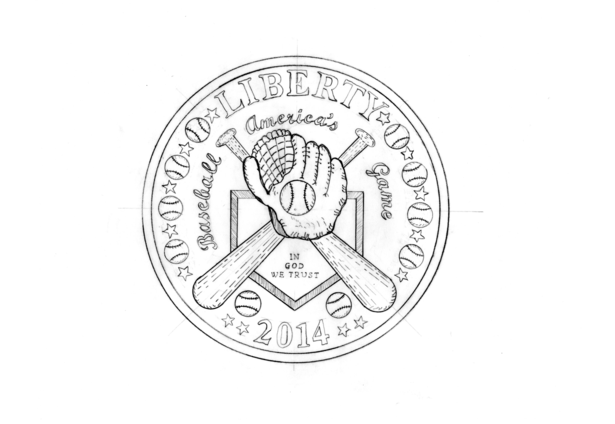 I'd like to thank US Mint for this competition. It was a great challenge and perfect way to celebrate a truly American sport.